There’s no point in dancing around it. The Incredible Machine is a terrible album, an unmitigated disaster that manages to fail in ways that shouldn’t even be possible, especially on a mainstream album created by established professionals and released by a major label. At its best, Sugarland has made successful music by combining clever musical arrangements with strong lyrical hooks, delivered by the inimitable vocal talent that is Jennifer Nettles. I would have deemed a full album being completely devoid of all three components inconceivable, but The Incredible Machine comes frighteningly close. First, the arrangements. Look, it’s cool when an audience sings back to you at a concert. Heck, the Sugarland audience has been known to sing along with “Stay” and “Joey”, which are hardly your typical Bic light anthems. But on several tracks here, Jennifer and Kristian become their own audience, singing back to each other in chants best fit for a Journey concert. And, oh boy, are they chanting back some inane lyrics. Sugarland make the fatal error of mistaking form for content. Yes, there’s an adrenaline rush that’s produced by Journey’s “Don’t Stop Believin'”, and Bon Jovi’s “Livin’ On a Prayer”, and Green Day’s “Wake Me Up When September Ends.” But that’s because the songs have a deeper meaning that resonates with audiences, not just because they simply can be chanted along with. So we get the empty platitudes of “Stand Up”, for example, which impels us to do stand up and…do what, exactly? It unpleasantly reminded me of the high drama of primary season two years ago, when I stood there confused, wondering why I was supposed to be inspired by vague promises of change instead of hard work and proven results. The time for music lifting up a people into social action is largely behind us, but if you’re going to try to resurrect it, it helps to clue us in on what you’re impelling us to do. Unless you just want to feel important for five minutes in an arena, I guess. So the lyrics aren’t what you’d expect from Sugarland, even on an off day, and the arrangements fall flat on nearly every track. But you still have Jennifer Nettles at the mic, so that must be a net positive, right? I can’t think of an album that has ever disappointed me more than this one. Having loved Love On the Inside and Live on the Inside, and simply adoring lead single, “Stuck Like Glue”, I really thought this was going to be good. The charm of that lead single, which brought reggae flavor firmly over to traditional Sugarland territory, had me thinking they could be country music’s Blondie, innovative in their integration of other genres without sacrificing their own musical identity. They decided to be its Starship instead, rejecting everything that made them distinctive and relevant and embracing a musical style that they aren’t even able to do competently, let alone do well. Where were the adults to tell this A-list act that the music wasn’t working? Why even have a record label anymore, if they either can’t hear the sound of their top act throwing their careers away or don’t have the gumption to stop them before they do? This is a poorly conceived and poorly executed album. Even one of those would be bad enough, but the two of them together is worse than tragic. It’s a disgrace. I must say that this is one of the toughest reviews I have ever seen here in my two and a half years of being at Country Universe, at least in terms of a top-draw act. And yet I have to agree that the review fits. I confess that Sugarland has never been a favorite of mine in any musical genre, country or otherwise. I know there are a lot of people who like Jennifer’s way of vocalizing, but to me it sounds like she is doing a job of a Southern accent on everything she sings, a real hammy drawl/twang that, after three minutes, just gives me a headache. I must say that I was disapointed with the album, especially after Love On The Inside, but I still enjoyed the music. I think they tried to push the boundaries too hard, and ended up with a mess of music. They do sound like they are trying to immitate the great rock music bands of years past, in terms of music styles. It was a nice effort, but probably will be one of their more forgettable works in the long term. ………All I can say is that I’m not sure what to think of this album, I just hope the Reba one won’t be as disapointing [i preordered both this album and the Reba one]. At first the new Sugarland album was at the top of my new music wish list, but I’m awfully glad now that I didn’t spend my money on it. I abolutely cannot stand their new heavy-handed sound. It’s especially disappointing that Jennifer isn’t even singing the songs well anymore, since her vocals had always been one of the best things about Sugarland’s music. And I did have high hopes after hearing such an awesome kickoff single like “Stuck Like Glue.” But now, words just fail to express the depth of my disappointment. I liked Sugarland’s first two albums but I haven’t liked the direction they’ve been heading in for quite some time now. It’s one thing to push the envelope now and then, but they don’t seem to want to be considered a country act anymore. I think more than anything, I’m still just bewildered by this album. It feels like a weird Sugarland-related dream that I’ll wake up from soon, so jarringly disconnected is it from the band’s trajectory and from the country music climate as a whole. There were a number of tracks from the first three albums that I didn’t care for for one reason or another, but at least those mistakes always made a basic kind of sense. This album just doesn’t, and the idea that they’ll be trying to sell it to us for at least another year (probably more, unless the backlash or sales dive is swift) fills me with gloom. 1) That “Every Girl Like Me” is built around a line (“I am not perfect / But I know I’m worth it”) that’s almost identical to a pivotal line from their previous “Take Me As I Am” (“I ain’t sayin’ I’m perfect / But I promise I’m worth it”). Love the Starship line. I was initially all about this album and was at least intrigued when I heard it was going to be a concept album (albeit a very odd and indulgent sounding topic). But the more I started hearing about it and the way they promoted it, it started wearing on me. Ultimately that live streaming concert the night before its release sealed it for me and I haven’t gotten it. I’ve never been a fan of Journey or Bon Jovi, so continuing to position that type of music as country music will only push me further away. Dead on review. I had been slowly warming up to them to the point where I was actually looking forward to this release, but they’ve lost me again. Your review is the most accurate so far. I commented yesterday on AT that generally, with artists I like I just buy each new album, regardless of reviews, ’til they disappoint me. I have reached that point with Sugarland. I’m not into vocal histrionics. I hate it when singers jazz up the Star Spangled Banner before ball games. I just want good songs sung well. “Love on the Inside” was great. This album is not even close in quality. I’ve been listening to this album, and working on a review of my own, but I’ve got to say, Kevin, I’m impressed that you even managed to sit through the whole thing! You were dead-on about Jennifer’s vocals. I definitely agree with parts of this review but 1 1/2 stars is slightly harsh. Shine the light possibly redeems the set for me. As for lyrical content and vocals I really miss the Jennifer Nettles that existed before Sugarland. Her lyrics were outstanding( whereas I feel you were correct in stating that Sugarland has “mistaking form for content”) and her voice not always full of that over drawn and pronounced twang. I have to disagree with your description of the vocals for ‘Tonight’ in some ways. I feel Jennifer is attempting to go back to her lower register and this song calls for it as it is about yearning and wanting– it is not one of the bubbly ditties her upper register calls for. As for someone who did not initially like Stuck Like Glue or its reggae breakdown these songs grow on you and are amazing sung live (Atlanta GA Fox Theater 10.20.10) which seems to be Sugarland’s bread and butter– touring. In conclusion there are some issues with cohesiveness (Every Girl Like me and Little miss culd easily have been on Love on the Inside) and vagueness of lyrics (as I sit down during Stand Up) but I think after being entertained for years by Jennifer and Kristian we can allow them the artistic leeway to experiment and support the experiment whether our hypotheses of its results were what we expected or not. Go back to your cookie cutter music crap. They aren’t going to change there creative process for people who are only hear to complain. Plus, if you actually took time to listen to the songs, it doesn’t take a genius to figure out what they’re about. Loved this review. I was really rooting for this album to fail and have thought already and agree with your point about the people around them and their label should have stepped in. I dont know where to begin with the music, do they think their fanbase is 85 and up or why are they repeating the words so much and yelling them. I heard it was a wide world the first time. Will be watching for sales and how other singles fair and will count down to their Napolean theme record. It seems natural for them to go that route so Kristin can wear the hat, it’s not like the record company is gonna stop them. Excellent work here, as expected. This is a sscorching review, ouch. I’m not a Sugarland fan, but I have liked a few of their past singles, and all the talk of the new artistic direction peaked my curiousity. Having listened to the album, I have to congratulate you on a “job well done” for this review, Kevin. Despite the heavy drawl of Jenifer’s voice, I think Sugarland has proven they can sing and perform polished country-pop well, sometimes even better than their peers. But this album does everything wrong. There is no enjoyable, bouncy arrangements, no heartbreaking ballads for Jenifer to pour her heart into, and the lyrics themselves are sung and written as if there is no inspiration behind the music itself. Not to mention the awakward (horrid) attempt to make it seem like Kristian Bush is an equal vocal counterpart to Jenifer Nettles. She can sing. He cannot. If we have to hear him “sing,” at least give him (and us) some good material to go along with it. 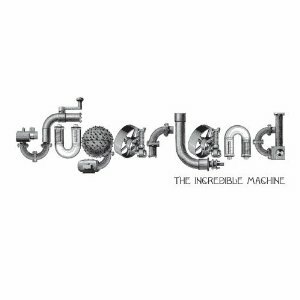 The good news is this album is getting a frothy reaction from most fans and critics; hopefully that means Sugarland will get the hint and go back to recording substantial, enjoyable music again. I hope the promotion and sales decline continues so I don’t have to bear listening to tracks from this peice of junk for an entire year. Maybe Jenifer and Kristian will actually take the hint and realize that their desire to be “innovative” and act as if their albums are the next great masterpeices of history is not working. I used to respect them, but their egos need to be taken down a notch or two. “Calling.” THANK YOU! I was trying to figure out what the heck she was saying. Can’t disagree with the review. I didn’t think it was possible to make Jennifer Nettles sound bad, but she’s shrill as can be on quite a few of the songs. Never understood the fuss about this band. Hate Nettles voice, it’s nasal and shrill. I think any act should be allowed to follow its muse, personally; designing art to appease a fanbase is a lot of why country music’s been in such a mess of late. So it doesn’t bother me that Sugarland made a full-blown pop-rock album. What bothers me – aside from it simply being a bad pop-rock album – is that Sugarland keep trying to dress it up as “the fringe on the jacket of country music!” It does seem that a depressing lot of country fans will stupidly form judgments based on genre labels or markets rather than actual music, and those folks probably would have cried foul if Sugarland had just come right out and said that they were making a pop-rock album (not realizing, of course, that Sugarland were already poppy to begin with). But to me, saying this album is “pushing the boundaries”of country music is just insulting to my intelligence. I’m no purist, but this album has almost nothing to do with country music. I don’t mean this question to be sarcastic or disrespectful in any way but…. what exactly is country music? Btw, how do you get the font to italicize? Except take out all the spaces. As to your question, obviously there’s no set definition of what’s “country” and what isn’t. It’s a subjective thing. But when music bears absolutely no resemblance to anything universally agreed upon as “country” (say, George Strait), but bears quite a bit of resemblance to other very different musical forms (in this case, arena rock and stuff), it probably won’t register as “country” to most people. Most of this album doesn’t even sound country compared to most of what’s on country radio right now, and that’s saying quite a lot. As Dan said, it’s really subjective, but my simple definition is: If I turn to a radio station and hear a song for the first time and wonder what genre it is, I’d say it’s not country. Likewise, if somebody who hates country music says something like “I hate country music, but I love this song.”, it’s probably not country enough. This isn’t to say that the song isn’t good, of course, but it does bring up the question of if it should be called country music. Unfortunately for this album, it’s both clearly not country and it’s not good. And, I completely agree with Dan on what bothers me about Sugarland’s take on the album. I’m fine with them trying something new, but I’m less tolerant of their remarks that seem like they really don’t have an interest in being country music artists anymore. What I find more than a little disheartening is that an awfully large majority of the country music audience has accepted a lot of what is essentially 80s arena rock with drawl and twang for as long as it has, which seems like the better part of 20 years, and done so without question up to this point. Sugarland is neither alone in this respect, nor were they by any means the first. But too much of what passes for country music today is terribly soulless and corporate (IMO). I’m fine with them trying something new, but I’m less tolerant of their remarks that seem like they really don’t have an interest in being country music artists anymore. Exactly how I feel. Although I do also think there’s merit to highwayman3’s comment about artists at least having a pulse on their fans’ interest. I don’t think the issue is as black and white as appeasing fans vs. following artistic vision. I’m so behind in life that I bought this album on its release day and still haven’t listened to it all the way through. My opinion is TBD, I guess. I thought of that discussion as well and tried to find it for Danni, but I’m coming up empty. I tried to find it too, but I couldn’t, the closest I came was a “Say What?” feature with Kristian Bush talking about connectivity to music [partially to do with ‘older’ country music]. But, I do remember that discussion I mentioned… on the older version (2008-ish?) of the site. Agreed Tara, I’m all for different sounding records. I would even commend Sugarland for their first 3 albums, all sounding different while still in the same relm. But to change so much that the core fans can no longer continue to enjoy them. I could see if they announced this was a one time experiment, but this seems like their verions of the future of their music and country music. It’s scary, Happy Halloween everyone. Have not heard the album yet. Didn’t like the lead single at all, so I figured I’d wait to pick the album up at my local library (it’s there, might as well use it). Now, I’m contemplating if I even want to take the time or risk tainting what I loved so much about “Love on the Inside” or “Enjoy the Ride.” The reviews I’m seeing of this album just keep getting worse and worse (this from a guy who rarely pays much attention to reviews but prefers to form his own opinions). Maybe I’ll wait and see what the next single is like before even requesting this from the library. If the duo ever, heaven forbid, gets nominated for the Grammys for this work; I wonder how the Grammys will treat it [as in which genre they will put it in]. I know it’s a throwaway line in an otherwise extremely well-written review (probably the best review of the album I’ve read — I despise the lead single because it’s goofy and wasn’t planning on getting the album, but this seals it), but the political mumbling was a little unnecessary. Yes, I understand the reference made but do we really need to integrate politics into country music anymore than they already have been? I’m not judging anybody’s political point of view, as you have your right to feel how you feel, but there’s a time and a place and this ain’t it. I wouldn’t read into the political part too much. I did vote for the guy in the general. I’m just not big on calls for action that don’t explicitly say what the action is, which is what drove me crazy about the “inspirational anthems” on this album. Thanks Dan and Leeann. That helps a bit. I’m scared to say that I actually like this album. It’s no Love on the Inside but it’s different. I dont know what it is but I’m just drawn into this album and I can’t stop listening to it. It’s not their best album, but it’s probably the album that I enjoy the most from them. Call me crazy! This is definitely an unapologetic rock album. But if it were a good rock album, I could still take it. Regardless of what genre these songs fall into, they are just flat-out not good songs. If it does get a Grammy nomination (I would probably croak if it did), I think they would probably still categorize it as country, since that’s Sugarland’s marketing label. I regret spending the money to buy this album. The songs are weak, and as much as Jennifer Nettles’ singing is great, it doesn’t save the fact that the album (as a whole) is very bland. I do like “Stuck Like Glue” (although the reggae bridge derails the song for me), but I don’t plan on buying this album. Their first two records were very, very good. I though Love on the Inside was a pitiful attempt by comparison, but apparently they could manage to do even worse w/ this album. I personally LOVE this album…. I’m starting to think I should listen to this album just to hear how much of a disaster it really is. This is a definite misstep for the band. My biggest issue with this album is not really in the aesthetic or straight-up pop melodies (those don’t bother me nearly as much as other listeners) but that the songs themselves have little or no redeeming qualities. I can’t relate to or latch onto any of these tracks because they all sort of run together musically, making them basically undecipherable from one another, and also that they just offer nothing lyrically. Platitudes and positive thinking I can hear from watching Oprah or reading Reader’s Digest. I don’t need 11 tracks full of them. This is nothing more than boring lyrics set to catchy beats. And that gets old really fast. Actually, “Tonight” and ‘Incredible Machine” are growing on me in addition to the others I mentioned….on Incredible Machine I wish they would lead in to it with Bush’s “interlude” version. The songs that are awful though…are very awful. I think that this album is great! I think that some of these reviews are a little harsh. If you don’t like it, then you try do something better before you make a bad review on someone else’s music. …just because you can’t do something by yourself doesn’t mean that it’s of high quality – just think of creating subprime mortgages, morgan. Thank you for speaking the truth! OMG, I’m a big Sugarland fan, and love each and every one of their prior albums incredibly much, so I didn’t waste time with this one. Especially after I heard “Stuck Like Glue” which is a great song. But WOW, it was like each song was worse than the previous one! “Little Miss” is good, but with all the junk surrounding it, I passed by it on the first go around too. Country/not country, I don’t care. Just give me something I can enjoy, that’s all that matters. This was not. I thought “All I Wanna Do” was a misstep (yes, I’m one of the apparently 5 ppl out there who didn’t like that song, in fact I hated it) but good lord, this album was Awful with a capital A.